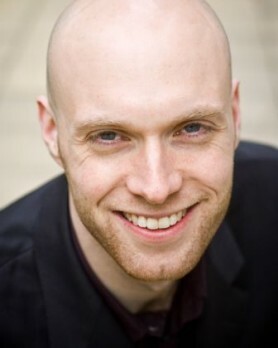 Baritone Jonathan Sells was born in south London and is currently a member of the International Opera Studio at the Zürich Opera House. He gained distinctions both at Cambridge University and the Guildhall School of Music and Drama (Janice Chapman), where he was subsequently a Guildhall Artist Fellow. In 2009, he took 1st prize at the Thelma King Vocal Awards, won the Rose Bowl at the Guildhall Gold Medal, was awarded the Prix Thierry Mermod for singers at the Verbier Festival Academy and the Worshipful Company of Musicians’ Silver Medal, and won the Guildhall Wigmore Recital Prize, which led to a full-length solo recital in Wigmore Hall in March 2010. Operatic experience includes Hérault and Apollon Alceste (Chelsea Opera Group), L’Allegro, il Penseroso ed il Moderato (Palais Garnier, Opéra de Paris), Pastore & Spirito L’Orfeo (Teatro Real, Madrid), Don Alfonso (cover, Glyndebourne Festival Opera), Count Almaviva, Don Giovanni, Leporello (Verbier Festival), Rambaldo La Rondine (British Youth Opera), Sleep & Mopsa The Fairy Queen (Aix-en-Provence Festival), Slook La Cambiale di Matrimonio (Guildhall School of Music and Drama), and Prime Minister in Sallinen’s The King Goes Forth to France (GSMD). A propensity for early music and a prodigious vocal range resulted in Jonathan’s selection by William Christie for Le Jardin des Voix in 2007. This led to solo debuts in Paris (Cité de la Musique), Madrid (Auditorio Nacional), Brussels (Palais des Beaux Arts), Lisbon (Fondacion Gulbenkian), Frankfurt (Alte Oper), London (Barbican Centre) and New York (Lincoln Center & Carnegie Hall), and further work with Les Arts Florissants. Jonathan has recorded the role of Plutone in Monteverdi’s Ballo dell’ingrate for Chandos with specialist vocal ensemble I Fagiolini and performs regularly as a soloist with Sir John Eliot Gardiner in festivals across Europe. He was a finalist in the London Bach Society Competition 2008, sings with La Nuova Musica, and has performed as a soloist with such conductors as Masaaki Suzuki, Richard Egarr, and Edward Higginbottom. Recent concert work includes JS Bach’s Matthäus-Passion with King’s College Choir and the Academy of Ancient Music, and JS Bach’s B minor Mass with Gardiner. Further work with Gardiner in 2010 includes tours of Monteverdi’s Vespro della Beata Vergine (1610) and Bach Advent cantatas. Jonathan Sells studied French song with Malcolm Martineau on the Britten-Pears Young Artist Programme, and considers song performance a very important part of his work. In 2009 he was invited back to the Chelsea Schubert Festival to perform Wolf’s Italienisches Liederbuch with soprano Anna Devin. Jonathan gave his solo debut recital at Wigmore Hall in March 2010, with a programme of songs from the 1880s by Duparc, Debussy, Mahler, and Wolf. Other recitals in 2010 include the opening concert of the London Song Festival. His recital repertoire includes Schubert’s Winterreise, Schumann’s Dichterliebe and Kerner Lieder, Debussy’s Cinq poèmes de Baudelaire, Poulenc’s Chansons gaillardes, and Mahler’s Lieder eines fahrenden Gesellen.